Khan's clarification came after he allegedly while addressing a poll campaign rally here, made a below-the-belt remark against Prada. "I brought her (Jaya Prada) to Rampur. You are a witness that I did not allow anyone to touch her body. It took you 17 years to identify her real face but I got to know in 17 days that she wears khaki underp****," Khan said on Sunday. 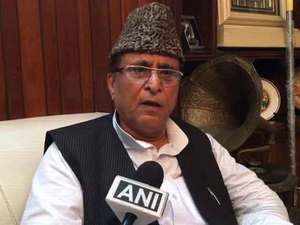 Asserting that he did not name anyone, the Samajwadi leader told that he would withdraw his candidature from the ongoing polls if proved guilty.